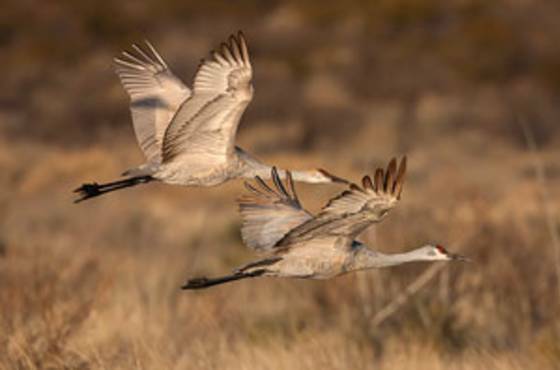 The 8th annual Yampa Valley Crane Festival takes place over Labor Day weekend, August 29th-September 1st, in beautiful Steamboat Springs and Hayden, CO. The 2019 festival will focus not only on the Rocky Mountain Greater Sandhill Cranes but also on the cranes of Africa. Kerryn Morrison, manager of the African Crane Conservation Program for the International Crane Foundation/Endangered Wildlife Trust Partnership will be the keynote speaker. Julie Zickefoose, naturalist, artist and author will be a featured speaker. Other festival activities include guided crane viewing sessions, nature and bird walks, a community picnic and presentation by Birding magazine editor Ted Floyd, live raptors presented by HawkQuest, documentary films, bird art, family activities, additional expert speakers and more. The complete schedule will be available in the spring by clicking here. For more information, please click below or watch the video below. Please send all questions to coloradocranes@gmail.com.